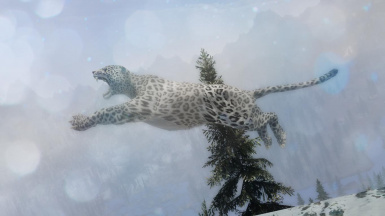 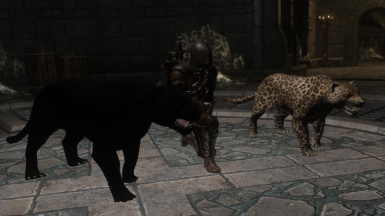 This mod adds 4 big cats from TES lore into Skyrim, in a lore-friendly way. 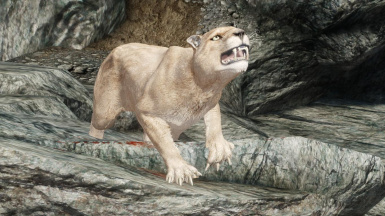 Mountain Lions, dangerous feline predators first seen on TES 4: Oblivion, are native from all Cyrodiil, but specially Jerall Mountains, that also includes the south part of Skyrim, so, you will find Mountain Lions now on the Skyrim side of the Jerall Mountains (specially between falkreath hold and Ivarstead). 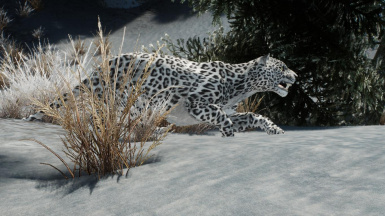 Snow Leopards are a very rare and furtive species of Leopard native to the snow mountains of Skyrim and High Rock. 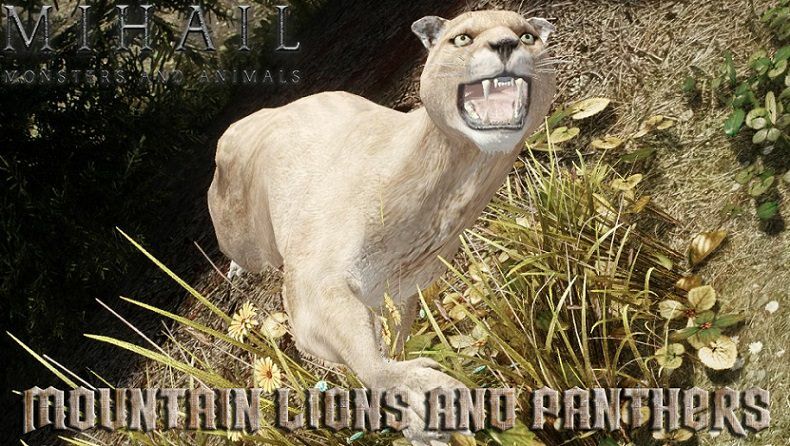 They are now very rare cus the high price of their pelt, what make the hunters to kill big numbers of them in the past. 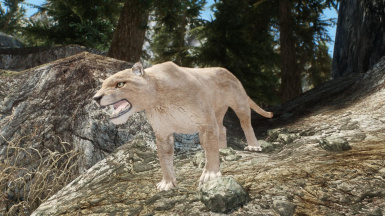 You can still find a few and hunt them for their pelts that have really high price. 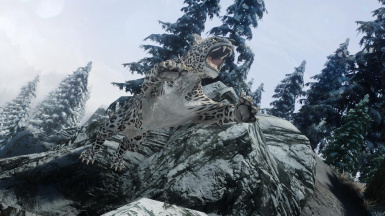 You can find them also on the snow mountains of Solstheim. 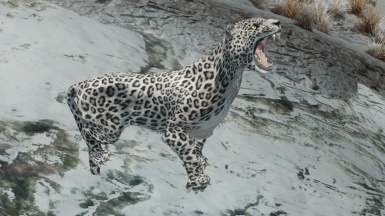 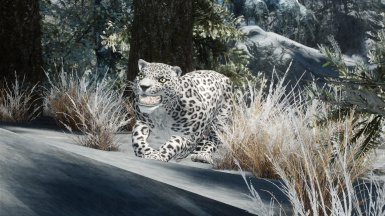 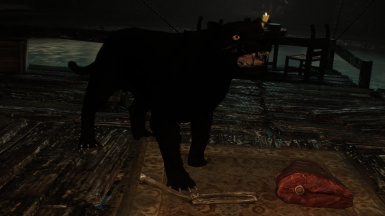 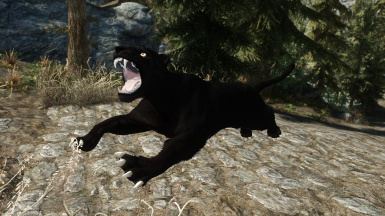 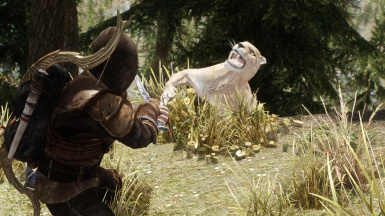 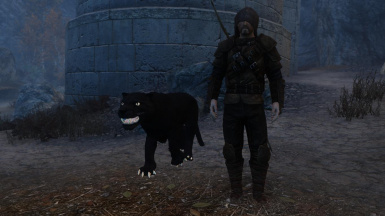 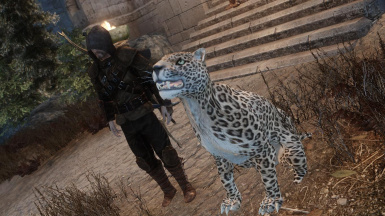 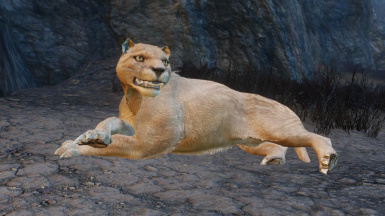 Leopards and Black Panthers are apex feline predators from the jungles and savvanahs of Hammerfell, and you will not see them in the wild of skyrim. 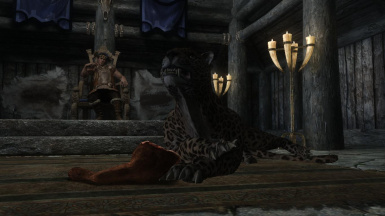 But you can find 2 as pets, one Black Panther as a pet of the redguard thief Tonilia, and a Leopard as a pet of the Jarl of Falkreath, offered to him by some Redguard nobles on a diplomatic meeting. 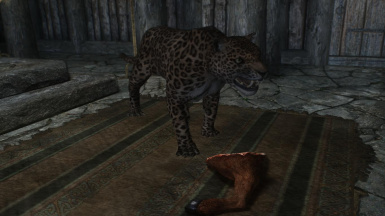 You can also summon this last to big cats as Warden type spells, bosmer court mage of Riften, Wylandriah, is the one who sells the books.